Mariah Carey and Nick Cannon's twins haven't been born yet, but the couple is already splurging on the little ones. Apparently they've turned a whole wing of their home into a fully equipped nursery with all the bells and whistles you can imagine. Among the items the couple have splashed out on for their son and daughter are Chelsea sleigh cribs costing $2,200 each and a Clara changing table, which has a price tag of $2800, while the nursery will also be furnished with $2,270 Glam Glider chairs for Mariah and Nick – and a $1 million sofa. Actress/singer Mariah Carey arrives at the 2010 Palm Springs International Film Festival gala held at the Palm Springs Convention Center on January 5, 2010 in Palm Springs, California. 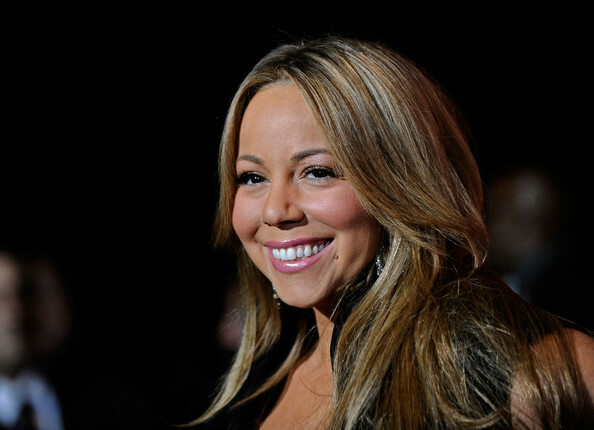 Mariah Carey at the 12th Annual Keepers Of The Dream Awards. Carey is seen wearing an off the shoulder black dress, showing off her curves. The singer was honored at the event as well as Wyclef Jean. The yearly four-day long fundraiser, "recognizes exemplary displays of committed service to the tenets of Dr. Martin Luther King, Jr., the ultimate dreamer. Mariah Carey drips in diamonds at the 12th Annual Keepers Of the Dream Awards at the Sheraton New York Hotel & Towers in New York City. Singer Mariah Carey poses on the red carpet at the 12th annual Keepers Of The Dream Awards at the Sheraton New York Hotel & Towers on April 15, 2010 in New York City. Celebrities arriving at The 82nd Annual Academy Awards, Kodak Theatre, Hollywood, CA.